Let’s assume that you were asked to take a quiz which asks you to identify a large nation in the modern world with a specific number of clues. The clues are: (A) it will be a strong and mighty nation, (B) it will be very prosperous, (C) it will be known as a “melting pot” nation, (D) it will also be known as a nation “from sea to shining sea,” (E) it will have a “Saxon” origin, (F) the number “13” will be conspicuous in its origins and symbolism, and lastly, (G) it will have a “special relationship” with an allied “company of nations” who share its Saxon origins as well as a common language and culture. Many will understand that these clues point conclusively to the nation of the United States of America. Obviously, the related “company” (or “commonwealth”) of nations would be the fellow “Anglo-Saxon” nations of Great Britain, Canada, Australia and New Zealand. The above quiz question wasn’t even difficult, right? It will come as a major surprise to many Christians (and biblical scholars) that all the above clues about this great nation are found in the prophecies of the Bible. Indeed, biblical prophecies affirm that the nation described by these clues will have a major role to play on the world scene in the “latter days” of our age. I invite you to read this research report, which will explain where each of these biblical clues can be found. If you are a believer, this report should strengthen your faith in God and the Bible. If you are not a believer, this report should convict you to become one. Most Christians do not think the USA can be found in biblical prophecy. However, many of these same Christians have no problem seeing that such nations as Russia, Iran, Egypt, the Israelis, etc. are mentioned in biblical prophecy. Does it make sense that God would forget to say anything about the most-powerful nation on earth, the USA, in the biblical prophecies about the latter days of our age? No, it does not make sense, and as this report will make plain, God did not forget to mention the USA in biblical prophecy. He has a great deal in prophecy about the USA in the latter-days but these prophecies have been “hidden in plain sight” within the Bible. Obviously, we will not find the name “United States of America” in biblical prophecies, and the above clues are found in a variety of scriptures and prophecies. We will have to discern what ancient terms are used to describe the modern USA in “latter day” prophecies. This is the same method used by many Christians in identifying other nations in latter day prophecies. Consider an example. Many biblical teachers (Hal Lindsey, the late -Zola Levitt, etc.) have correctly identified Russia in Ezekiel 38’s prophecy about Gog, Magog and their allies in the latter days. Does the word “Russia” appear in the text? No, it does not. However, Russia can be identified by the names Magog, Meshech and Tubal in Ezekiel 38:2-3. Ancient languages, including Hebrew, omitted vowels in their writing of words so we must look for those ancient nations in modern words which have the same consonants (vowels may vary). The consonants of the word “Meshech” include “M-S-C,” consonants found in the word “Moscow.” The word “Tubal” is preserved in such names as the city of “Tobolsk” and the “Tobol River,” both found in Russia. The land of Magog was historically the region of southern Russia. This is an example of how a modern nation can be identified in biblical prophecies without its modern name appearing in the text. Christians have identified Russia by using biblical clues, but the USA has not been recognized in biblical prophecy via this same method. The USA was present in biblical prophecies all along, but few Christians bothered to look for the clues. Why didn’t they find them? It is a truism that if you believe something doesn’t exist and you aren’t looking for it, you are almost certain to not find it. Christians, almost universally, have not believed the USA was in the Bible, so they did not attempt to find it in the Bible’s prophecies. There are other examples of how modern nations can be identified via biblical clues. The nation of Iran is easily identified (as an ally of Russia) in Ezekiel 38:5 by its ancient name “Persia.” The name of the ancient Ammonites of biblical times can be seen preserved in the name, Amman, the capital city of Jordan. A chief clan of the ancient Edomites (descended from Esau–Genesis 36:8) was named after “Teman,” whose name was preserved for centuries via the consonants of the “Ottoman” Empire (the nation now called “Turkey”). The modern Jewish nation in the Mideast can easily be identified in latter-day prophecies in Zephaniah 2, Zechariah 12 &14 and Genesis 49:8-10 by the term “Judah,” found in all these prophecies. The term “Jew” comes from the phonetic sound of the first syllable of the word “Ju-dah.” Some nations that lived in the Mideast in ancient times are still there. Egypt, the Persians (Iranians), the Edomites (Teman/Ottoman/Turkey), and the Ammonites (in the region of Amman, Jordan) remained in the Mideast, and the Jews of Judah have again founded a nation in their ancient homeland, just as Zephaniah 2:1-7 prophesied. These nations are all located in the same general region as their ancient namesakes. However, many ancient nations mentioned in the Bible have migrated far from the Mideast over the millennia and are now located elsewhere. The people who founded the United States of America are one such group. Once one understands the ancient biblical term for the peoples who founded the USA, the identity of the USA becomes very clear. This report will also reveal a particular modern event which greatly confused modern Christians re: the biblical identity of the USA. Interestingly, President Harry Truman was one of the few who recognized the confusion created by this one historical event when it occurred. With the above introduction to the topic, let us begin looking at specifics. Many of the important clues to the modern identity of the USA were given in Patriarchal times, confirming that the same God who gave these clues millennia ago can bring them to pass in our modern world. The patriarch, Abraham, was promised by God that his descendants would be very numerous (Genesis 13:16, 17:2, 22:17) and that his descendants would eventually constitute “many nations” in the future (Genesis 17:4-5). He was also told by God that his descendants would “possess the gates of their enemies” (Genesis 22:17) and be “blessed” mightily by God (Genesis 22:16-18). God also promised Abraham that his descendants would be traceable throughout history because they would be known by the name of Abraham’s son, “Isaac” (Genesis 21:12). The blessings given to Abraham were called the “birthright” blessings because they were passed on to successive generations as a right of their birth. These Divine blessings would be inherited by certain future nations; they would not be enjoyed due to any innate superiority on the part of these nations. The “birthright” blessings given to Abraham were first bequeathed to Isaac, who married Rebekah. Their union was blessed with a biblical prophecy that their descendants would number “thousands of millions” and that they would “possess the gate of them which hate them” (Genesis 24:60). This puts a specific number on the people who would descend from Isaac and Rebekah over time: they would number in the billions throughout the generations of humanity on the earth. God was not kidding when he said he would make Abraham’s seed as numerous as the stars of heaven. The blessing of numerous descendants who would possess the gates of their enemies confirms that Isaac and his seed received the same blessings given to Abraham (see Genesis 17:17-19, 21). However, Abraham had a previous son, Ishmael, via Hagar, and Ishmael’s descendants were also prophesied to become numerous and constitute a “great nation” which would feature “twelve princes.” The “great nation” of Ishmael’s descendants in the modern world are the Arabs. The Arabs know that they are descended from Ishmael, the son of Abraham and Hagar. This linkage is so well-known that in my book, Israel’s Tribes Today, I cite references from three encyclopedias which address the Ishmaelite origin of the Arabs. The Encyclopedia Americana is quite specific when it states: “Most of the nations of the 12 sons of Ishmael can be identified as names of Arab tribes…” (Americana, 1988 Ed., Vol. 15, p. 489). Now ask yourself an important question: If the Ishmaelites, who received the lesser blessing given to Abraham’s sons, constitute the numerous and oil-rich, modern Arab “nation” which founded several nations in the modern Mideast, then who constitutes the nations descended from Isaac? What modern nations have received the greater blessings given to Abraham’s other son, Isaac? Isaac’s nations must constitute nations more numerous, prosperous and powerful than the Ishmaelite Arabs if the Bible is true. Obviously, Isaac’s descendants in the modern world must consist of far more than just the Jews (and they do, as we will see). Genesis 24:60 prophesied that Isaac’s descendants would number in the billions over time. Either God kept this promise or he did not. We will see that he did! Abraham also fathered many sons from his second wife, Keturah, and Abraham had even more sons from his concubines (yes, Abraham, had a harem). Some of these other sons were given a portion of Abraham’s wealth and sent away to live in a land located far to the east of the Promised Land (Genesis 25:1-6). These other sons of Abraham also were blessed with very numerous descendants and can be found among the nations of the world today. Blogs and articles at my website, www.stevenmcollins.com, identify some of them, but they are not the subject of this report. The realities of the modern world document that God has fulfilled all his prophecies about the nations, and that it is the Creator God who establishes the numbers, locations and destinies of all nations. When Isaac died, his “birthright” blessings were given to his son, Jacob, even though the oldest son, Esau, would normally have received them. Genesis 25:31-36 relates that Esau renounced his birthright in Jacob’s favor, and Jacob later seized the birthright via deception (Genesis 27). One of Jacob’s blessings received from Isaac was that “nations” would bow down to the nations that would descend from Jacob (Genesis 27:29). Obviously, for this to be fulfilled, Jacob’s descendants would have to be found among the great nations and empires of the earth in later centuries and millennia (which did occur). This blessing also promised that God would bless the nations that blessed Jacob’s birthright descendants and would curse the nations that cursed Jacob’s descendants. God reiterated the Abrahamic blessings to Jacob in Genesis 28:10-15 by saying Jacob’s descendants would be as numerous as “the dust of the earth” and they would eventually spread to all four directions of the earth from the ancient region of the Promised Land. In an event of major (but not generally appreciated) significance, Jacob’s name was later changed to “Israel” (Genesis 32:28), and he fathered the 12 sons who became the namesakes of the “12 tribes of Israel.” These sons were birthed from four different mothers (see Genesis 29-30, 35:18), so their divergent DNA pools ensure that their descendants would form nations with different characteristics and temperaments. When Israel died, he passed on the birthright blessings to the descendants of his favorite son, Joseph, who was the eldest son of Israel’s favorite wife, Rachel. However, since Joseph already had two sons at the time Israel bequeathed his blessings, Israel gave these blessings jointly to the two sons of Joseph, who were named Ephraim and Manasseh. 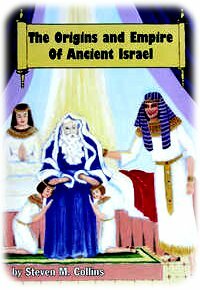 Israel gave prophetic blessings or statements about not only Ephraim and Manasseh, but about all of his 12 sons which were to be fulfilled in a time called “the latter days.” This blessing ceremony for the sons of Israel has two phases and is recorded in Genesis 48-49. In the first phase of this ceremony described in Genesis 48:8-22, the “birthright” blessings (which included national greatness, large populations, controlling key “gates” of their enemies, etc.) were given to Ephraim and Manasseh in a private ceremony attended only by Israel, Ephraim, Manasseh and Joseph. The second phase of this ceremony is described in Genesis 49 where all of Israel’s 12 sons were present and blessed by Israel. Genesis 49:1 states that all the blessings conveyed in these ceremonies would be fulfilled in “the latter days.” Those familiar with Bible prophecy understand that our modern times are the “latter days” of biblical prophecy. Those unfamiliar with this topic are referred to my article, Are We Living in the Biblical Latter Days?, available at www.stevenmcollins.com. The two-part ceremony in Genesis 48-49 was Israel’s last will and testament to his sons. Modern readers can easily understand this as being similar to the “reading of a will” to someone’s offspring. Israel knew he was dying, and he was moved by God’s Holy Spirit to give these blessings and utterances to his sons just before he died (Genesis 49:33). My books examine how all of Israel’s prophetic blessings have been fulfilled among various nations of our modern world, but the purpose of this article is to follow the clues which identify the modern United States of America. Several important clues for locating the “birthright” descendants of Ephraim and Manasseh in our modern time are found in Genesis 48 (the first part of Israel’s blessing ceremony). In Genesis 48:16,Israel blessed both Ephraim and Manasseh simultaneously with the words “let my name be named on them and the names of my fathers Abraham and Isaac; and let them grow into a multitude in the midst of the earth.” Israel decreed that his own name, “Israel,” and the name of his own father “Isaac” would be placed upon the descendants of Ephraim and Manasseh, the two sons of Joseph, who were to each become a distinct tribe among Israel’s sons (Genesis 48:5). In doing this, Israel was giving Joseph a “double portion” among the 12 tribes of Israel. Since Joseph was expanded into two tribes, this meant that there would henceforth be 13 tribes of Israel (they were often still known later as “the 12 tribes” because the priestly tribe, the Levites, did not receive a territorial region as a distinct inheritance in the Promised Land). In Genesis 48:14-18, we learn that Israel acted unconventionally when he placed his right hand (which by custom symbolized the dominant blessing) upon the head of Ephraim, the younger brother, while putting his left hand upon the head of Manasseh, the oldest brother. Joseph, their father, saw this and protested, but Israel was determined to do it the way he had chosen. Since the dominant hand (the right one) was placed on Ephraim’s head, Ephraim was considered the primary inheritor of Joseph’s place among the 12 sons of Israel. However, Israel literally “grandfathered in” Manasseh as an additional and equal tribe in Israel (Israel was Manasseh’s grandfather), making the descendants of Manasseh the “13th tribe” of Israel. 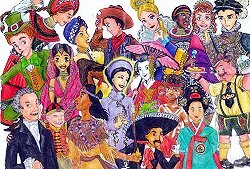 Genesis 48:16 repeats the blessing that Ephraim and Manasseh will grow into a “multitude” so their descendants must be found among the large nations of the earth, not the small ones. Remember these clues, for we will re-examine them later. In the second part of the blessing ceremony in Genesis 48-49, Israel gave prophesies for each of the tribes named after his 12 sons. The tribe most recognized by modern readers is Judah. Judah’s descendants have long been called the “Jews,” named to this day after their forefather Judah. However, the Jews are just one of the many sons of Israel. The vast majority of Israel’s descendants (those descended from Israel’s other sons) are not Jews. Only the descendants of Judah are now called the Jews. There is a vital clue found in the first part of Israel’s blessing ceremony, which was conferred only on the descendants of Ephraim and Manasseh. Israel foretold in Genesis 48:19 that while the descendants of Manasseh would become a “great” nation (or “people”), the descendants of Ephraim would become a “multitude” (or “company”) of nations. Genesis 49:1 affirms that this entire blessing ceremony would be fulfilled in “the latter days.” Keep in mind that there was no “chapter-break” between the words of Genesis 48 and 49 in original texts; the prophetic words of Genesis 48-49 would have flowed together as part of a single prophetic blessing. The “latter day” expression for the fulfillment of these blessings governs the entire scene presented in Genesis 48-49. Biblical prophecies do not always put the phrase “latter days” in the same place in each “latter day” prophecy. In Jeremiah 30, the phrase occurs at the very end of that chapter’s prophecy but it applies to the entire chapter. In Numbers 24:14-24, the “latter day” phrase appears in the very first verse of that prophecy. In the prophecy of Ezekiel 38-39, the “latter day” phrase appears in verses 8 and 16 of Chapter 38. In the prophecies contained in Genesis 48-49, it occurs in Genesis 49:1. What modern nation is both large and powerful, and which shares a “special relationship” with a “company of nations” with which it shares a common language, culture and heritage? It is not hard to identify these “brother” nations. The obvious single great nation is the United States of America. It is a powerful, large and numerous nation which shares a common culture, language and heritage with the English “company of nations” which includes Great Britain, Canada, Australia and New Zealand. Even as Israel “set Ephraim before Manasseh” in the receipt of their respective blessings (Genesis 48:20), Ephraim’s “company of nations” should be expected to inherit their time of national blessings before Manasseh’s single great nation received its time of prominence on the world stage. This was fulfilled in world history. The British Empire was great and powerful for centuries on the world stage before the single (“brother”) nation of the USA became dominant on the world stage after World War II. The British Empire was the greatest and most expansive empire in world history. It literally circled the globe as “the sun never set on the British Empire” during its time of world power. The British Empire vastly exceeded the size of the famous empires of Rome, Assyria, Babylon, Alexander the Great, etc. It was during the time of the British Empire’s dominance that the USA was rising to power and it finally eclipsed the power of its brother “company of nations” after World War II. Is it only coincidence that the USA and the British nations precisely fulfilled the biblical prophecy in Genesis 48 about a “nation and a company of nations” (two “brother” peoples) in the latter days of our age? There is no other possible fulfillment among the modern great nations. However, there is still much more evidence to present. In Genesis 21:12, God promised to Abraham that his birthright descendants would be known throughout history by the name of “Isaac.” In Genesis 48:16, Israel’s blessing upon the tribes of Ephraim and Manasseh mandated that their descendants would be known by the name of Isaac. At this point, a brief history lesson is required. When the twelve tribes of Israel entered the Promised Land, they eventually formed the United Kingdom of Israel under their greatest kings named David and Solomon. World history mistakenly calls their empire the “Phoenician Empire” because the city-states of Tyre (ruled by King Hiram) and Sidon were junior partners in this alliance with Israel’s tribes (I Kings 5:1, 9:26-27, 10:22). Soon after Solomon’s death, this empire was torn asunder by a great civil war. The northern ten tribes (still allied to Tyre and Sidon) formed the kingdom of Israel while the southern two tribes (joined by the priestly tribe of Levi) formed the southern kingdom of Judah. The northern kingdom of Israel was called “Israel” because it was led by the tribes of Ephraim and Manasseh who bore the name of “Israel” upon them (Genesis 48:16). The southern kingdom of Judah was led by the tribe of Judah. The kingdoms of Israel and Judah (albeit both descended from Jacob) became enemy nations and often fought bloody wars against each other. They never reunited. The northern kingdom of Israel fell into sinfulness quicker and its tribes went into exile circa 721 BC (mostly into Asia), while Judah retained some independence until circa 576 BC before it too was exiled. Just before Israel’s kingdom fell, a prophet named Amos noted that the northern ten tribes were already then known by the name of Isaac (Amos 7:16), fulfilling the prophecies of Genesis 21:12 and 48:16. This is a vitally important point, because the name of “Isaac” followed the ten tribes wherever they went in their exile and later migrations. This clue makes their descendants easy to locate throughout history. In another clue little noticed by modern Christians, Hosea 1:10 prophesied that even though God was exiling the ten tribes because of their national sins, he also prophesied that he would vastly increase the population of “Israel” (Ephraim and Manasseh) after they went into exile into Asia. The idea that the ten tribes would “die out” or be “abandoned” by God cannot be found in the Bible. Indeed, Jeremiah 51:5 records a statement, given over a century after the ten tribes went into exile, that the ten tribes of Israel would not be forsaken by God. Mere centuries after the ten tribes went into exile in Asia, a group of related tribes with a common language, culture and heritage had grown so numerous and powerful in Asia that they overthrew and ruled over the peoples of the old empires of Assyria, Babylon, Persia and the Seleucid Greeks. These related tribes (called “Sacae” or “Saka” Scythians) formed the “brother” empires of Scythia and Parthia. The Scythians were a confederation of powerful tribes spread from Eastern Europe across southern Russia to Western China at one point, while the Parthians ruled over the region from the Euphrates River to the region of the Indus River and from Scythian-controlled south Russia to the Indian Ocean and Persian Gulf. These two “brother” empires together controlled territory greater than the Roman Empire, which was their contemporary rival. Many wars were fought between the Roman and Parthian Empires. Rome usually lost, and the Parthians were sometimes rescued during wars when their “brother” Scythian tribes came down from the north and intervened on Parthia’s side. Modern history teaches much about the Roman Empire, but shamelessly ignores the history of the Scythians and the Parthian Empire, even though Greco-Roman classical writers wrote much about them. Secular historians acknowledge that the Scythians and Parthians were related tribesmen, and they were both known by the name of “Isaac.” The Scythian tribes were known as “Sacae” or “Saka” (the initial “I” of Isaac was a vowel and not written). One Parthian city was named “Asaak” and one of its provinces was “Saca-stane” (both preserve the name of “Isaac”). Parthia also had a city named “Samariane,” echoing the name of Samaria, the capital city of the former kingdom of Israel. Many of the names of Israel’s tribal and clan names can be found among the Sacae Scythian and Parthian empires. My books document an immense body of evidence from secular history that the Sacae Scythian and Parthian empires were the ten tribes of Israel, grown exceedingly numerous and constituting nations and empires, just as the Bible prophesied. The important fact to realize is that various forms of the name of Isaac were stamped on both the Scythians and Parthians, confirming that the tribes of Ephraim and Manasseh were among them. The names of the clans of Ephraim were evident among the tribes forming the Parthian Empire and the name of Manasseh was still recognizable upon the chief tribe of the Scythians (the Massa-getae). The dominion of the ten tribes over their former captors (Assyria, Babylon and Medo-Persia) was prophesied in Isaiah 14:2. The dominion of Scythia and Parthia fulfilled this prophecy. The Parthian Empire dominated South Central Asia from approximately 250 BC until 227 AD, when its rule was overthrown by the native Persians. The numerous Parthian tribes, joined by the Sacae Scythian tribes, fled from South Central Asia and migrated into Europe seeking new homelands. Because of their migration route via the Caucasus Mountains, the Scythian-Parthian tribes entering Europe were called “Caucasians.” Some of their Parthian/Scythian names remained on them as they migrated into Europe. Such Parthian/Scythian names as the Germanii/Kermans, Gauthei, Sacae/Sacans, and Jats were transplanted into Europe where their migrating people were known to the Romans as Germans, Goths, Saxons and Jutes. Their peoples fought each other for new homelands as often as they fought the Romans. The Roman Empire was crushed by the sheer weight of the many millions of Caucasians who poured out of Asia into Europe with their women and children as they sought new homelands to replace the ones they had lost in Parthia and Scythia. The Caucasian nations entering Europe eventually found new homelands and formed the population base of many modern European nations. The Romans called the Sacae/Saka Scythians by the term “Saxons.” As they migrated across mainland Europe, the original “Sacae” name was preserved in the province of Alsace (often fought over by France and Germany) and also in the name of several German Provinces. Although the term “Saxony” is on several German provinces in the English language, the German language preserves the ancient Sacae Scythian form as the German spelling of the word “Saxon” is “Sachse” or “Sacsisch.” The name of “Isaac” is evident in all these spellings. However, when one looks for nations bearing the name of Isaac in the modern world, the ones most closely-identified with the name of Isaac are the “Anglo-Saxon” nations, which grew into a “nation” (the United States of America) and a “company of nations” (Great Britain, Canada, Australia and New Zealand). These nations have long been known as the “Anglo-Saxon” nations in the modern world, and so the “nation and company of nations” in our modern world are also known by the name of Isaac…just as God prophesied they would be. When the tribes of Israel lived in the Promised Land under their great kings, David and Solomon, they were known as the United Kingdom of Israel. After their civil war split them into the two often-warring kingdoms of Israel and Judah, their descendants kept those separate, respective names upon them throughout all future biblical references. In biblical usage, the name “Israel” remained permanently on the descendants of the larger northern kingdom led by Ephraim and Manasseh (which led eight other tribes), while the name “Judah” remained permanently on the descendants of the tribe of Judah (which led the tribes of Benjamin and Levi in biblical times). The people descended from the southern kingdom of Judah became known as Jews while the descendants of the northern kingdom had the names of “Israel” and “Isaac” placed on them by Divine action (as explained above). When a portion of the Jews returned from Persia to the region around Jerusalem in the time of Ezra and Nehemiah, only the three tribes of Judah are mentioned as being represented (Ezra 1:5). The ten tribes of Israel remained in Asia and did not come back to Judea with the Jews. While the exiled Jews retained their identity as Israelites by preserving such “Torah” practices as circumcision, Sabbath-keeping, the meat laws, etc., the ten tribes of Israel forgot such Torah customs and, therefore, became “lost” among the nations. God did not “lose” them, of course. God knew exactly where they were and he guided their migrations and destinies to ensure that all his prophecies about them in the latter-days would be fulfilled. However, the people of the ten tribes of Israel lost their own identity and forgot their own origin. This fulfilled a prophecy in Hosea 8:8 that the ten tribes would be “swallowed up…among the Gentiles.” It is absolutely vital to realize that from the time of the civil war among the tribes of Israel soon after Solomon’s death, the term “Israel” in the Bible refers to the ten tribes of Israel who descended from the northern kingdom and the term “Judah” refers to the Jews who descended from the southern kingdom. This applies to both biblical narratives and biblical prophecies about the respective descendants of “Israel” and “Judah.” The long Diaspora of the Jewish people came to an end when the modern Jewish State was founded in 1948. This fulfilled a prophecy in Zephaniah 2 that “Judah” would again have a nation in the old Promised Land just prior to “the Day of the Lord’s anger” (another term for the end of our age). However, something occurred in 1948 which has caused deep and lasting confusion among modern Christians regarding the terms “Israel” and “Judah.” When the modern Jewish nation was named in 1948, they named it not after their own tribal name of Judah, but rather after the ancient land of Israel (which was shared by the ancient kingdoms of Israel and Judah). However, in biblical prophecies, the term “Israel” refers to prophecies about the latter-day descendants of the tribes of Ephraim and Manasseh, not the Jews! This confusion of terms has led modern Christians to mistakenly assume that the terms “Israel” and “Judah” are synonyms in biblical prophecies when they are actually describing very different nations in the latter days. Notice that the term “Israel” is not used in Zephaniah 2’s prophecy about the return of the Jews to the old Promised Land. It uses only the biblically-accurate term, “Judah,” for the Jews. In biblical prophecies for the latter days, the term “Judah” refers to the Jews/Israelis. However, biblical prophecies about “Israel” in the latter days refer to the modern tribes of Ephraim and Manasseh and the rest of the “ten tribes of Israel.” When the Jews proclaimed their new nation as “Israel” in 1948, President Harry Truman, a strong backer of the new Jewish State, was surprised by their chosen name. As Newsweek magazine noted in its May 14, 2007 issue (“A Case of Courage”), both President Truman and his White House Counsel, Clark Clifford, expected the new Jewish State to be named “Judea” after the tribal name of the Jews. 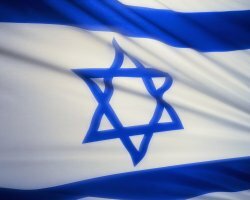 If the Jewish State had been named “Judea” or “Judah,” we would not now have the pandemic confusion that now exists in the Christian world re: the terms “Israel” and “Judah.” If the Jewish State had been named “Judea,” there would be no common misconception among modern Christians that the terms “Israel” and “Judah” are synonyms when they are not. If the Jewish people had named their nation “Judah,” Christians would see the name “Israel” in prophecy and start looking for the nations identified by that name in the modern world. However, because the Jews named their nation “Israel,” Christians mistakenly assume the Bible refers to the Israelis/Jews when it uses the terms “Israel” and “Judah” in prophecy. That is incorrect. The term “Judah” in prophecy refers to the Jews, the descendants of the tribe of Judah (as in Zephaniah 2, Zechariah 12 and 14). The term “Israel” in prophecy refers not to modern Israelis/Jews, but rather to the modern descendants of the tribes of Manasseh and Ephraim, who will be a “nation and company of nations” bearing the name of “Israel” and “Isaac” in the latter days. This has immense ramifications for Christians (and everyone else) in our modern world. For example, when the Gog-Magog alliance of Ezekiel 38 launches its prophesied latter-day attack, Ezekiel 38:16 reveals it will be directed not against “Judah,” but against the people of “Israel.” The Jews of “Judah” are not mentioned anywhere in Ezekiel 38 because Ezekiel 38 is not a prophecy involving the modern Jewish nation in the Mideast. Christians falsely assume that Ezekiel 38 prophecies an attack against the modern Jewish State in the Mideast when it actually prophesies about a latter-day attack of the Russian-led “Gog Magog” alliance against the latter-day nations of the ten tribes of Israel led by Ephraim and Manasseh (called the “house of Israel” in Ezekiel 39:12). When we realize that the leading nations of the modern house of Israel have to be the tribes of Manasseh and Ephraim (the “nation and company of nations” bearing the name of “Isaac” in the latter days), Ezekiel 38 takes on a riveting new perspective in modern geopolitics. The USA, Great Britain and Canada are all NATO nations and Australia and New Zealand are their close allies. Many of the other NATO nations in Europe and Scandinavia are descended from the other tribes of the ten tribes of Israel (see my books for detailed information). The USA and NATO have long been Russia’s primary rivals, and Ezekiel 38 prophesies that Russia, China, Iran and other nations will form a global alliance in the latter days which will attack a rival alliance of nations led by Ephraim, Manasseh and the other ten tribes of Israel. The alliance led by the nations of “Israel” is NATO and its allies in the western alliance. Ezekiel 38-39 prophesies that a Russian-led attack against the USA, NATO and their allies is inevitable in the latter-days. NATO, led by the USA and the UK (the “nation and company of nations” of Manasseh and Ephraim) is the chief rival of Russia and its allies on the world stage, so again we see the biblical term “Israel” very logically fitting the prophecy in Ezekiel 38 about Israel’s “nation and company of nations” being the chief rivals of Russia and her allies in the latter days. Clearly, a Creator God is shaping modern geopolitics to set the stage for this age-ending prophecy of Ezekiel 38 to be fulfilled in the years ahead of us. However, I set no dates concerning the eventual fulfillment of these prophesies because the Bible does not give us those dates. Now back to our narrative. Ezekiel 38 also contains another clue re: the identity of the chief nation of “Israel” which will be the primary target of the Russian-led “Gog-Magog” alliance of Ezekiel 38. In Ezekiel 38:8, the King James Version of the Bible states that the chief nation of “Israel” in the latter days is one which has been “gathered out of many nations.” The Revised Standard Version translates this as “the land where people were gathered from many nations.” In other words, the chief nation of “Israel” in the latter days will be known as a “melting pot nation” which was settled by people from many nations. It is the United States of America which has long been known as the “melting pot” nation because it was settled by people coming from many nations. In its earlier settlement phases, it was settled by immigrants from European nations. Once we realize that the European nations were themselves previously settled by the immigrating Scythians and Parthians who poured into Europe as Germans, Goths, Saxons, Jutes, etc., we can see that God was gathering people from the tribe of Manasseh to the USA regardless of where they had been scattered among the nations of Europe. The early American colonists came mostly from the “mother country” of Great Britain and from Germany while later waves of immigrants came from other European nations. By no means do I mean to imply that all European immigrants who came to America were Manassehites. Some were members of other Israelite tribes drawn to America by the promise of a new life. However, most were initially from the tribe of Manasseh. The tribe of Manasseh was split into two portions in ancient biblical times. The tribe of Manasseh must love “wide open spaces” because it had, by far, the largest territory in the ancient Promised Land. Not only did the tribe of Manasseh have the largest territorial inheritance (see any biblical atlas for confirmation), it was also geographically divided in two by a river running north-to-south through the middle of their land. Half of Manasseh lived on the east side of the Jordan River in the region called “Gilead,” and this half-tribe went into Assyrian captivity when all the tribes of Israel living in Gilead went into captivity (II Kings 15:29). The half-tribe of Manasseh that lived on the western side of the Jordan River journeyed into exile with several other tribes of Israel years later. My books make the case that the western half of Manasseh (along with several other tribes from the northern kingdom of Israel) voluntarily migrated into the Black Sea region after their homeland in the old Promised Land became indefensible. Upon arriving in the Black Sea region, they founded the “Sacae” Scythian tribal alliance known by the name of Isaac. The two halves of Manasseh took separate migration routes into Europe, one half settling in the British Isles as “Anglo-Saxons” (along with their brother tribe of Ephraim) while the other half of Manasseh settled mostly in Germany where they also had the name of Isaac (“Saxony”) upon part of their territory. The early American colonies were mostly composed of people who were drawn from the British Isles and Germany. In one large colony, Pennsylvania, the Germans were very numerous. Via this migration pattern, God finally reunited the two halves of Manasseh into the modern nation that would become the United States of America. Even as the tribe of Manasseh had the largest portion of land among the tribes of Israel in the ancient Promised Land, it also has the largest portion of habitable land among the nations of the modern ten tribes of Israel. Australia and Canada (two of the “company of nations” of modern Ephraim) also have large land masses, but much of their land is, respectively, an interior desert or an Arctic wasteland. The USA has the largest habitable and arable portion of land. Even as the ancient tribe of Manasseh had a territory divided in half by a river running north to south within its borders (the Jordan), modern Manasseh is again a nation divided in half by a river running north to south within its borders (the Mississippi). Ezekiel 38:17 states that the “Gog-Magog” prophecy of Ezekiel 38-39 has parallel biblical prophecies about this same event which were written before Ezekiel’s time. One of the other prophecies about this great attack against the people of “Israel” in the latter days is found in Joel 2. Joel 2:1 states its prophecy will be fulfilled in “the Day of the Lord,” another biblical phrase about the latter-days which will climax our current age. It foretells a great war and climactic signs in the heavens (verse 10). Joel 2:17 calls for God’s people to pray to God fervently for deliverance from an invading army which will attack from the north (a theme paralleling Ezekiel 38:15-16). Like Ezekiel 38, Joel 2:27 identifies the people being invaded from the north in the latter days as “Israel” (the name placed on the “nation and company of nations” of Manasseh and Ephraim). Clearly, Ezekiel 38 and Joel 2 are parallel prophecies which both prophesy about a major invasion of “Israel” from the north in the latter-days. Notice another item in verse 20. God intervenes to rescue “Israel” in both Ezekiel 38-39 and Joel 2, but Joel 2:20 adds a piece of information not contained in Ezekiel 38. Latter-day “Israel” will have a land mass that is bordered by an “east sea” and an “utmost sea” (a sea in the direction “furthest” away from east). That means the latter-day land of “Israel” must be bordered by large eastern and western seas. The United States of America has long been known as a land “from sea to shining sea” with the Atlantic Ocean on the East and the Pacific Coast on the West. Again, this prophecy about “Israel” in the latter days accurately describes the geography of the USA. The prophecy in Joel 2 was in the Bible for a very long time before the USA came into existence. That the nation of “Israel” would be located “from sea to shining sea” in the latter days argues that the “Manifest Destiny” doctrine of early American history was, indeed, God’s will being fulfilled in America’s national destiny. One can also see that the Louisiana Purchase and the Lewis and Clark expedition to explore the new land extending the USA to a “western sea” was also God’s will in implementing the prophesied borders of “Israel” in the latter days. While both Ezekiel 38 and Joel 2 are primarily discussing an invasion of the United States of America (“Manasseh”) at the end of this age, the biblical term “Israel” applies to both Ephraim and Manasseh (Genesis 48:16). Ephraim, the “company of nations” consists of Great Britain, Canada, Australia, and New Zealand. All of the nations of modern Ephraim are also lands located between large eastern and western seas. Russia’s alliance would logically also invade Canada from the north when it invades the USA, and China would invade both Australia and New Zealand from the north as well. Great Britain would logically be attacked from the north by Russian bombers and ships based north of the British Isles and Scandinavia in Russia’s Kola Peninsula. While Ezekiel 38’s prophecy mostly describes an attack upon the USA, Joel 2’s parallel prophecy aptly describes not just the USA but all the English nations of Ephraim as well. The “birthright” blessings first given to Abraham included the blessing of large populations which would grow into many nations (Genesis 13:16, 16:10, 17:2-7, 22:17). This requires that they grow into far more nations than just the modern Jewish nation. These blessings included the promise that the “birthright” nations would have control of the “gates of their enemies” (Genesis 22:17, 24:60). Genesis 24:60 specifically prophesies the descendants of Isaac would number in the billions over time, so the birthright nations have to be among the largest nations on earth, not the smaller ones. The term “Joseph” in Genesis 49:22-26’s latter-day prophecy includes both Ephraim and Manasseh because Joseph fathered both tribes. These blessings include not only large population growth, but temperate weather and natural resources (see verse 25). What “nation and company of nations” have received these modern blessings? Again, it is the United States of America and the British nations. At one point, these nations also possessed almost all the strategic chokepoints on the earth (the prophesied “gates of their enemies”). The British Empire possessed or controlled the Suez Canal, Gibraltar, Cape Horn and the Cape of Good Hope. Cape Horn was guarded by a British colony: The Falklands Islands. The United States of America controlled the Panama Canal and dominated the Central Pacific Ocean via the Hawaiian Islands and its naval base at Pearl Harbor. Via their locations, the British Isles, Canada and the USA controlled the eastern and western borders of the Atlantic Oceans. Australia and New Zealand dominated the Southern Pacific and access between the Indian and Pacific Oceans. The British “company of nations” and the single great “nation” (the USA) controlled global maritime commerce and access in both peacetime and during wars. Their strategic locations fulfilled biblical prophecy. The USA and the British nations are mostly located in the temperate middle-latitudes conducive to good climate and growing large crops. The British Isles are located in a more northerly location, but the Gulf Stream gives those islands an unusually temperate climate for its northern location. The USA, Canada and Australia have all been given immense natural resources. Again, the Bible directly points to the USA and the British nations as “the nation and company of nations” which have inherited the specific “birthright” blessings promised to Ephraim and Manasseh. The verdict from all biblical clues about the specially-blessed tribes of Ephraim and Manasseh points to their being the British nations and the USA. Even the name “British” is a Hebrew compound word meaning “Covenant Man.” The Hebrew word “Brit” (or “Berith”) means “Covenant” and the Hebrew word “ish” means “man.” The British Isles have borne the Hebrew word for “covenant” upon them ever since the time of the Phoenician/Israelite Empire under Kings David and Solomon. God made a solemn and perpetual covenant with Abraham and the birthright “nation and company of nations” which would descend from Abraham. God has kept his promise, and he even stamped the Hebrew word for covenant on the British Isles to further identify the tribe of Ephraim! He has given every one of the many blessings of the Abrahamic covenant to the USA and the British nations. The Creator has directed their ancestors’ migrational paths and he has blessed them in peacetime and favored them in their wars. It was noted above that when Israel blessed Ephraim and Manasseh and placed his name upon their descendants, he put his right hand upon Ephraim’s head and placed “Ephraim before Manasseh” (Genesis 48:14-20). Joseph was given a “double portion” among the 12 tribes of Israel when each of his sons (Ephraim and Manasseh) was afterward counted as a distinct tribe of Israel. Since the right hand of Israel was placed on Ephraim, Ephraim had the primary position and was reckoned as one of the 12 tribes of Israel. However, Israel made a unique exception and made Manasseh an additional tribe of Israel. Because there were already 12 sons of Israel, the addition of Manasseh made Manasseh the 13th tribe of Israel. Since the prophecy of Genesis 48:14-49:33 applies to the latter days (Genesis 49:1), we should expect to see the latter-day nation descended from Manasseh to have the number “13” strongly associated with it. That has happened. The United States of America has the number “13” stamped on it so strongly it seems evident that God wanted to ensure that this clue would be hard to miss in the latter days. The United States of America began with 13 original colonies, which later became the original 13 states depicted by 13 stars and 13 bars on the original US flag. The 13 red and white stripes on the modern American flag still attest to the number “13” being vitally important to America’s heritage. 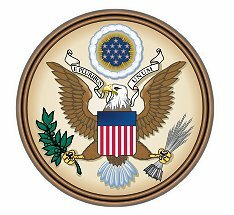 The national crest of the USA is replete with representations of the number “13.” It has 13 stars, 13 bars on the shield over the eagle’s body, 13 arrows in one talon and 13 leaves on the olive branch in the other talon. There are also 13 letters in the motto: E Pluribus Unum. It is evident that the number “13” is associated more strongly with the United States of America than any other nation on earth. The account in Genesis 48 that Manasseh would become the 13th tribe of Israel combined with its prophecy that Manasseh would be the single great “nation” allied to a “company of nations” with a common heritage as “brother tribes” makes it clear that the USA is Manasseh in the modern world and the British nations are Ephraim. Even as Israel “set Ephraim before Manasseh” in Genesis 48:20, the British nations enjoyed empire status and dominion on the world stage before Manasseh took its turn. 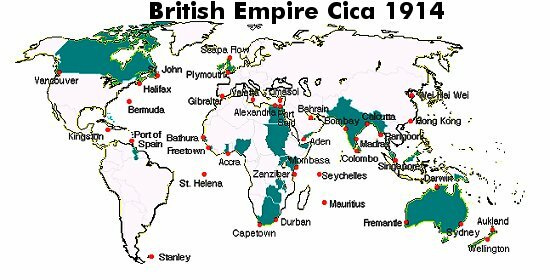 The British Empire was dominant in global power and influence for centuries before the USA rose to a position of dominance after World War II. Deuteronomy 33:13-17 records a prophecy that Moses gave regarding the tribes of Ephraim and Manasseh. Verse 17 prophesies that the number of people who will be ruled (“pushed… together to the ends of the earth”) by Ephraim will be ten times the number of people ruled by Manasseh. When one considers the number of people ruled or colonized by the British crown at the height of the British Empire compared to the people ruled or colonized by the USA, this prophecy was fulfilled. Deuteronomy 33:17 also prophesies that during the time of Ephraim’s dominance, it will be symbolized by the “bullock and unicorn.” Both have been prominent British symbols. England was referred to historically as “John Bull” and the unicorn is on the British coat-of-arms. Deuteronomy 32:8 prophesies that the “Most High divided to the nations their inheritance when he separated the sons of Adam, he set the bounds of the people according to the number of the children of Israel.” This is a remarkable prophecy few have considered. God reigns supreme over the nations and he has guided the destinies of peoples and nations so that they live in the circumstances he chose for them. Notice that God apportioned the earth’s land by first giving allotted portions to each of the tribes of Israel according to his prophesies about them, and then the remaining nations received “what was left.” God did not favor the nations of Israel (the ten tribes) because they were “better” than other peoples. He did so because God made a covenant with Abraham, Isaac and Jacob/Israel to bless their descendants more than other nations. God keeps his promises and implements his prophecies. Isaiah 41:21-26 records God’s challenge to all people to acknowledge his Divinity and Sovereignty by seeing his ability to implement his prophecies over millennia. That God has done so proves the God of the Bible is “in charge” of the destinies of nations. Deuteronomy 32:10-14 states that God has watched over his people (the tribes of Israel) like “an eagle.” We live at the very end of the latter days when Manasseh was prophesied to be dominant over the other tribes of Israel. The eagle is the national symbol of the United States of America. Consider a possible fulfillment of this prophecy. In World Wars I and II, the many tribes of Israel located in Europe and Scandinavia were ruled or threatened by Axis powers. What nation came and “spread her wings” and “bore” the other tribes on its wings (i.e. rescued and delivered them)? It was the United States of America, the “eagle” nation which came from afar (like a bird of prey) and fought the Axis powers, providing the strength to liberate and save the other tribes of Israel in each world war. Even the Jews, the tribe of Judah, have been repeatedly rescued by the “eagle” nation because the USA quickly recognized the new Jewish nation in 1948 and regularly re-supplied them in their Mideast wars. The tribe of Ephraim (Great Britain) is symbolized in the Bible by the bullock and unicorn, and the tribe of Manasseh (the USA) is symbolized by the eagle. Are There Other “Witnesses” that this is True? There is an important biblical principle in Deuteronomy 17:6 and 19:15 concerning the establishment of truth in any matter. It was never enough in God’s ancient Theocracy to establish the truth in a contested case if there was only one witness concerning a matter. To reliably establish the truth of a matter, the Torah required “two or three witnesses” to convict someone of a crime or legally establish the truth of a matter. This same principle is reaffirmed in II Corinthians 13:1 and I Timothy 5:19. In identifying the truth about where “Israel” (the modern “nation and company of nations” of Manasseh and Ephraim) is located, my writings are just “one witness.” Is there a second or third witness attesting to this truth? Yes, there is. While my books, blogs and articles about the ten tribes of Israel are available at my website, www.stevenmcollins.com, there is another author of books about the ten tribes of Israel who also has books, articles and commentaries on this same subject available at his website. www.britam.org. His name is Yair Davidy, and he is an Orthodox Jew living in Jerusalem, Israel. Yair Davidy and I wrote our initial books concurrently without either of us collaborating on the subject or even knowing the other existed until we became aware of each other via our writings. We used different sources of documentation and research methodologies in writing our books. However, we both came to the same conclusion: that the evidence confirms that the USA is the modern Israelite tribe of Manasseh and that the British nations are the Israelite tribe of Ephraim. In August, 2000, we had the opportunity to travel around the Israeli nation together for about a week and share our mutual research about the tribes of Israel. Yair and I remain friends. He is an Orthodox Jewish Israeli; I am an American Christian. I invite you to peruse the material at Yair’s website as you will also benefit from his Jewish perspective on the history of the tribes of Israel. We do not agree on all matters concerning the Israelite tribes, but our research and writing efforts are very complementary to each other. There are also other “witnesses” to the truth re: the locations of the modern tribes of Ephraim and Manasseh in the modern world. Others have written books or publications about these same subjects which are consistent with the conclusions of Yair Davidy and me. These other authors and researchers are found in Messianic/Hebrew Roots groups which recognize the “Two Houses” of the tribes of Israel (Israel and Judah) and among a variety of Christian denominations as well. In identifying the tribes of Ephraim and Manasseh (i.e. “Israel”) in the modern world, there is an abundance of evidence identifying these tribes as the modern USA and British nations. The United States of America has been identified in biblical prophecy. Christians have generally not seen the many biblical clues about the USA in the modern world because of deep confusion about the crucial difference between the biblical terms “Israel” and “Judah.” God had the identity of the United States of America revealed in the Bible all along, and the evidence about this identification should now be made available to all. The biblical identification of the “birthright” tribes of Manasseh and Ephraim as the USA and British nations has major and immediate ramifications for our understanding of modern world events. Modern nations have literally been fulfilling a predetermined, biblical script which was set forth in the Bible for them millennia ago. However, it is impossible to accurately apply biblical prophecies to the modern world until you know the identities of the leading tribes of Israel (Ephraim, Manasseh and Judah) in the modern world. The identity of Judah is easy. It is well-known that Judah is the Israelis/Jews. The identity of Ephraim and Manasseh (called “Israel” in latter day prophecies) can now also be known and it makes latter-day prophecies “come alive” as never before. The evidence presented above has critically-important ramifications not just for Americans, but for the entire world. The fact that biblical prophecies do identify the USA in the modern world changes how everyone should perceive the Bible, and it means that believers should see biblical prophecy in a new, more-relevant light than ever before. The most important ramification for modern mankind is that the Bible, long-maligned as being “unscientific,” is actually the provable revelation of an all-powerful Creator to his creation. Only an all-powerful Creator could inspire so many ancient and specific prophecies about the nations and implement them in such precise detail in future millennia. Only an immortal Creator could shape national decisions and migrations to unfold according to prophecies he inspired millennia ago! This is not a “coincidence” of history. This is “smoking gun” proof of God’s reality and the truth of the Bible. That so many latter-day prophecies about the “nation and company of nations” of Manasseh and Ephraim have come to pass in modern times confirms that we are living in the biblical “latter days” at the end of our age. Christians’ perceptions about the fulfillment of latter-day prophecies need to change in light of who constitutes “Israel” and “Judah” in the modern world. Christians have properly applied many latter-day prophecies to the Jews/Israelis because they are written for “Judah” (Zephaniah 2, Zechariah 12 and 14, etc.). However, Christians have mistakenly applied latter-day prophecies about “Israel” (Ezekiel 38, Joel 2, etc.) to the Jews/ Israelis when they should be applied to the modern “nation and company of nations” of Manasseh and Ephraim. As the evidence shows, the USA and the British nations are the “nation and company of nations” which bear the name of Isaac (“Saxons”). The USA has the biblical number “13” (for Manasseh) stamped on it and it is the prophesied great nation of Manasseh in the modern world. The British nations are the “company of nations” who had their “blessing” (i.e. empire and world dominance) first so they are the tribe of Ephraim. Jointly, they have controlled the strategic, geographic “gates” of the world, confirming they, as brother peoples, have inherited the special promises given to Abraham’s “birthright” descendants. Consider how Ezekiel 38-39 needs to be properly applied in the modern world. Christians have widely-seen that Russia, China, Iran, etc. are the prophesied “Gog-Magog” alliance which will attack “Israel” in the latter days. As readers now know, “Israel” is a biblical name stamped on the ten tribes of Israel, and especially the tribes of Ephraim and Manasseh. That means the targeted cities of this Ezekiel 38 attack will not be Tel Aviv and Jerusalem. The targets will be such cities as London, Manchester, Seattle, Denver, New York, Toronto, Sydney and Auckland. The Ezekiel 38 attack will befall the NATO nations led by the USA. For clarity’s sake, Jerusalem and Israeli cities will be attacked at the same time, but their invasion is described in Zechariah 14. Jeremiah 30 is another “latter-day” prophecy about a “Jacob’s Trouble,” a time when both Israel and Judah will be attacked simultaneously. Zechariah 14 describes the Mideast theater of the final world war of this age while Ezekiel 38 describes the North American, European, and Austral-Asian theaters of that same war. The Bible’s prophecies have predicted the modern end-time alliances with uncanny and unerring accuracy, for it foretold that the bloc of nations led by Russia, China and Iran would be opposed by the USA, NATO and their allies. Nations receiving great blessings from God also bear great responsibilities. They owe thanksgiving and submission to the God who has so blessed them. We live in a “fallen” world and God knows human beings have sinful nature. He knows we are not capable of perfection. However, when the British Empire and the USA had respect for the Creator God and his Bible, these nations were blessed with growing strength, international power, victory in their wars, and prosperity. The USA and the British nations…the” “nation and company of nations” who received the best blessings, have squandered their “birthright” blessings and have increasingly mocked and ignored God and all his laws. Instead of proclaiming God and biblical values to the world as they used to, these nations now spread nihilistic Darwinism and a culture which increasingly rejects God’s Ten Commandments and biblical laws. The USA has booted God out of its schools and universities, and ignored all his moral and economic laws. Christianity has atrophied. What is the USA reaping as a result of these actions? As of this writing in early 2009, the USA has entered a national/economic crisis which could leave it domestically weakened and significantly diminished on the world stage. The British Empire disintegrated after World War II and the American “Empire” is now facing the same thing. You cannot enjoy God’s blessings and disobey him (Proverbs 14:9, Galatians 6:7). As the Divinely-blessed “nation and company of nations” abandon God and his knowledge, they are losing God’s blessings. It is a predictable “cause and effect” relationship. Isaiah 1-4 prophesies about a “sinful nation” called “my “people…Israel”” (1:3) in the “last days” (Isaiah 2:1). Remember the name “Israel” describes the “nation and company of nations” of Ephraim and Manasseh (Genesis 48:16-19). However, this prophecy also is addressed to “Judah” (1:1, 3:1, 3:8), and all the tribes of Israel are referenced in the phrase “O house of Jacob” (2:5). This prophecy is directed at the entire western world. These chapters foretold that the people of “Israel” (and “Judah”) in the latter days would be increasingly sinful. Their society would feature feminism and generational conflict (3:12), an open “gay rights” movement (3:9), and an attitude of callous disregard for the needs of the poor (1:17). Their leadership elites would “lead them astray” (3:12) and their political leaders (“princes”) would be “rebellious” against God and be “companions of thieves” who “love bribes” and “follow after gifts” (1:23). Does this sound like the much-publicized, modern political culture of corruption where lobbyists and the rich buy influence and favor from politicians with lavish campaign contributions, rides on corporate jets, and outright bribes? The prophecy also says these nations will be very materialistic (2:7), and 2:6 adds that they would seek after eastern concepts and occult guidance (“soothsayers”). God also prophetically details how the “daughters” of his people will dress and act like temptresses (3:16-24). Does this sound like American celebrity and Hollywood culture? A dearth of capable, strong national leaders is also prophesied (3:2-4). Does the above sound like the USA, the British nations, the Israelis and the western world in general? An old axiom says: “If the shoe fits, wear it.” Unfortunately, the “shoe” does “fit” our nations pretty well. Nevertheless, God still extends an invitation to our nations to repent and avoid the dire penalties which will result if we continue to ignore and mock him. Isaiah 1:16-18 urges us to “cease to do evil” and to do right by the poor and needy. If our nations heed this warning, God will make us “as white as snow.” If our modern western nations do not repent and turn to God, dire consequences are prophesied to occur. Isaiah 1:4 states we have “provoked the Holy One of Israel to anger,” and 1:28 warns that “those who forsake the Lord shall be destroyed.” We can either choose to humble ourselves before God or he will punish our nations just before he personally intervenes in global affairs. The choice is ours. God is watching our national and personal choices very carefully. If you have read this research paper, you have been warned. What will your personal choice be? Copyright 2009 Steven M. Collins – This copyright-protected report may be forwarded, printed or disseminated by anyone who wishes to share the information in this research report with others.